The Finnish Society’s year of events finishes with the Family Christmas Party. 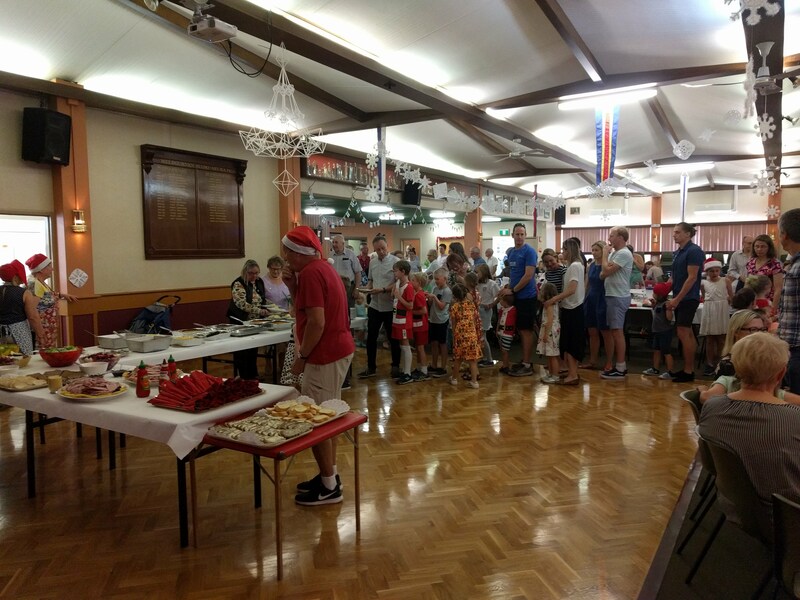 Held on a Sunday early December at the Finnish Hall, 119 Pier Street, Altona. The day offers traditional Finnish Christmas lunch,carols, and a fun program for the kids. The event typically starts off with the welcoming of guests by our chairperson followed by the declaration of Christmas Peace. Traditional Christmas Lunch begins soon after, full of your favourite holiday food. Carols and entertainment, merriment of all kinds, follows lunch, along with the kids’ program. Santa always pays a visit for the kids, so if you would like your child to receive a present from Santa, please bring one with your child’s name on it for Santa’s sack. Presents for adults will also be accepted but no gifts of value greater than $5. As with all our events, Suomi-kauppa will be open. This is your last chance of the year to get some imported Finnish goodies. We ask for people to RSVP for catering purposes by the Thursday before the event. So, remember to mark this in your calendar and let us know if you are coming to make sure there is enough food for everyone! We’ll bring in the end of the year with good old Christmas cheer. It’s always great fun for the whole family!